SAN DIEGO, Calif. /California Newswire/ — Bank of Southern California, N.A. (OTC Pink: BCAL / OTCMKTS:BCAL) announced that it has reached a definitive agreement to acquire the deposits of the La Quinta branch of Opus Bank located at 78080 Calle Estado #101, La Quinta, pending regulatory approval. The sale is anticipated to close on or about August 19, 2016. Opus Bank customers will continue to do business with their current Opus Bank branch until the sale is completed. At the close of the transaction, the deposits of Opus Bank’s La Quinta customers will be transitioned to the existing Bank of Southern California La Quinta office. The two offices are approximately three miles apart from each other. At close, Opus Bank customers will also have access to Bank of Southern California’s Palm Desert – El Paseo and Rancho Mirage branches. 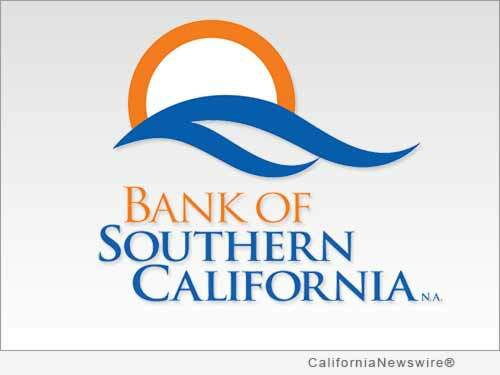 “This purchase will mark the fourth acquisition in the Coachella Valley for Bank of Southern California. In December 2010, the bank acquired the La Quinta and Palm Springs branches of Palm Desert National Bank as its entry into the Coachella Valley. In January 2014, the bank acquired the Palm Desert branch of AmericanWest Bank, and in December 2014 the bank acquired Frontier Bank dba El Paseo Bank through a purchase and assumption agreement with the FDIC,” concluded Rogge. A growing community bank, established in 2001, Bank of Southern California, N.A., with headquarters in San Diego, Calif., is locally owned and managed and offers a wide range of financial products to individuals, professionals and small-to-mid sized businesses. The bank’s solution-driven, relationship-based approach to banking provides accessibility to decision makers and enhances value through strong partnerships with their clients. The bank currently operates seven offices in San Diego and the Coachella Valley in Riverside County.